The authors deal with the place of parliamentary politics in democracy. Apparently a truism, parliamentarism is in fact a missing research object in democratic theory, and a devalued institutional reference in democratic politics. Yet the parliamentary culture of politics historically explains the rise and fall of modern democracies. By exploring democracy from the vantage point of parliamentary politics, the book advances a novel research perspective. Aimed at revising current debates on parliamentary politics, democratization and democratic theory, the authors argue the role of the parliamentary culture of politics in democracy, highlighting the argumentative, debating experience of politics to recast both some of democratic theory’s normative assumptions and real democracies’ reform potential. 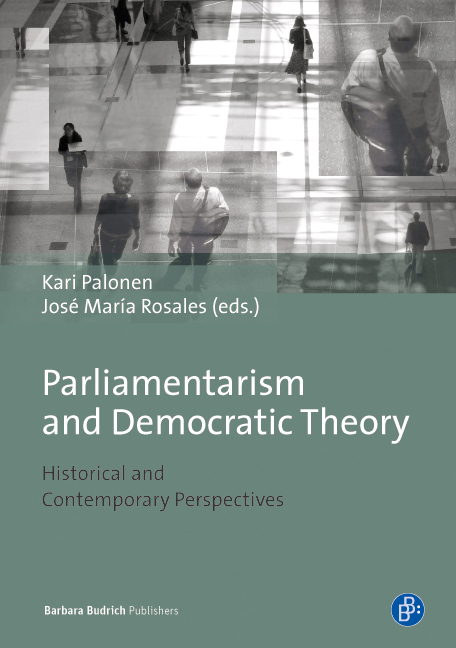 „Parliamentarism and Democratic Theory“ is a critically important work of exceptional scholarship and very higly recommended for academic library Political Sicence reference collections in general, and Parliamentary Democracy supplemental studies reading lists in particular.